President Cyril Ramaphosa concluded his Working Visit to New York where he led the South African delegation to the 73rd Session of the United Nations General Assembly (UNGA). This marked President Ramaphosa’s inaugural participation in UNGA as Head of State and Government. 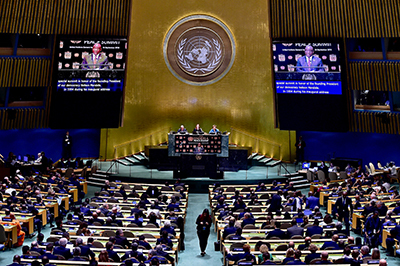 President Ramaphosa participated in the annual General Debate, which is the occasion for world leaders to gather at UN Headquarters to discuss global issues. President Ramaphosa and other world leaders were meeting in New York from 25 to 27 September 2018 under the theme: “Making the United Nations Relevant to all People: Global Leadership and Shared Responsibilities for Peaceful Equitable and Sustainable Societies”. The theme was inspired by the commitment of Maria Fernanda Espinosa Garces, President of the General Assembly (PGA), to making the UN a more relevant, efficient, transparent and democratic organisation. 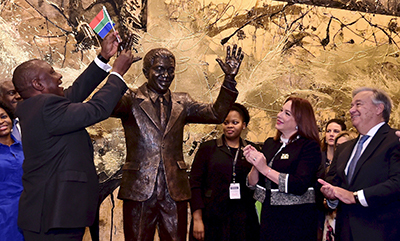 The UN General Debate was preceded by the unveiling of a statue of President Nelson Mandela and the historic Nelson Mandela Peace Summit, a high-level plenary meeting convened by the PGA in honour of the centenary of the birth of South Africa’s first democratically elected president. The Nelson Mandela Peace Summit was an opportunity for heads of state and government to commit global support towards ending conflict in the world and on the African continent in particular, in line with the African Union’s aspirations of “silencing the guns by 2020”. In his inaugural address at the UNGA, President Ramaphosa outlined South Africa’s domestic and foreign policy goals and priorities. These included the country’s land reform programme aimed at fostering greater stability, inclusiveness and transformation within the South African economy. The President also laid out South Africa’s priorities for its two-year term as a non-permanent member of the United Nations Security Council (UNSC) from 2019 to 2020. 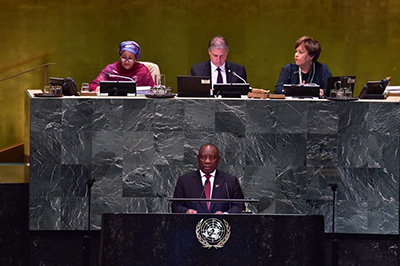 "The reform of the UN, and particularly its SC, is a priority if we are to give full effect to the values and principles enshrined in the UN Charter", President Cyril Ramaphosa said in his debut address to the General Assembly. South Africa would like to see the SC increased to 15 members and for Africa to have two permanent members on the council since most conflicts happen on the African continent. 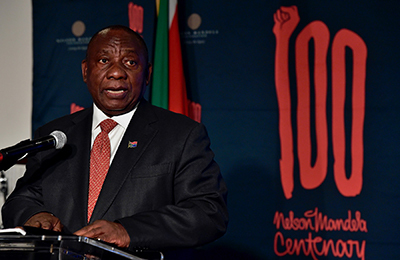 "Institutions like the UN, World Bank, IMF (International Monetary Fund) and the WTO (World Trade Organisation) need to be reshaped and enhanced so that they may more effectively meet the challenges of the contemporary world and better serve the interests of the poor and marginalised," President Ramaphosa added. "The call to leave no one behind requires that we strengthen the institutions of global governance and make them more responsive to the needs of young people, particularly in the developing world. "It is within our hands, as the leaders assembled here today, to forge a more representative, equal and fair UN that is empowered and equipped to lead the struggle to end poverty, unemployment and inequality in the world." He said to the poor, vulnerable and marginalised that the UN was a beacon of promise in a landscape of doubt. 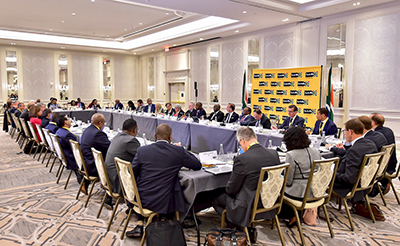 While in New York, President Ramaphosa met with CEOs of major global companies as part of the drive to attract foreign direct investment in order to ramp up the South African economy. This formed part of the build-up to South Africa’s International Investment Conference, which will take place on 26 and 27 October with a focus on bringing investment of US$100 billion into the South African economy over the next five years. President Ramaphosa was accompanied by the Minister of International Relations and Cooperation, Lindiwe Sisulu; Minister of Trade and Industry, Rob Davies; Minister of Defence and Military Veterans, Nosiviwe Mapisa-Nqakula; Minister of Finance, Nhlanhla Nene; and Minister of Health, Aaron Motsoaledi. Addressing investors, the President told delegates that South Africa, in a bid to revive its economy, made new investments into the economy a central priority for government. To achieve this, President Ramaphosa outlined government’s ambitious investment drive to raise US$100 billion in new investment over five years. Reflecting on investment relations with the United States (US), he highlighted that South Africa was the second-largest destination of US investments in sub-Saharan Africa after Mauritius. Total bilateral investment, comprising foreign direct investment, portfolio and other investments, stood at approximately R2,2 trillion in 2016. The unveiling of a life-size statue of democratic South Africa’s founding father, Nelson Mandela, at the United Nations (UN) Headquarters in New York will forever serve as a reminder of everything the exceptional statesman stood for. “President Mandela firmly believed that the UN was the most valuable and effective instrument for the advancement of peace, development and equality that humanity had conceived. “We trust that this statue will remain a constant reminder to the international community of the dedication of Nelson Mandela to the mission of the UN and a constant affirmation of South Africa’s commitment to contribute to a better world for all,” said President Cyril Ramaphosa on Monday, 24 September 2018, at the occasion of the statue unveiling. President Ramaphosa said he was encouraged by how the rest of the world had embraced the celebration of the centenary of the birth of Nelson Mandela, something he said was “truly humbling”. “For those of us gathered here at the UN, Nelson Mandela will forever hold a special place in our hearts because of his dedication to the service of humanity and the promotion of peace throughout the world. “The people of our country, united in their diversity, revere Nelson Mandela as the founding father of our democratic nation – whose life, sacrifices and extraordinary contribution to freedom continues to inspire successive generations. “The values by which he lived and to which he dedicated his life are universal. We are honoured and grateful that the Nelson Mandela Peace Summit has been convened in his memory,” the President said. He extended a word of deep gratitude to UN Secretary-General, António Guterres, who led the institution that had been instrumental in driving change throughout the world, including in South Africa. “We recall with great appreciation and gratitude the leading role of the UN in championing the struggle of the South African people against apartheid and in calling for the release of Nelson Mandela and other political prisoners,” said the President, who presented Madiba’s statue on behalf of the Government and people of South Africa. In a bid to mobilise resources in support of peacebuilding, President Cyril Ramaphosa has called on the private sector to invest in countries emerging from war. “As countries emerge from conflict, they face the challenge of rebuilding the State, which includes building infrastructure, establishing resilient public institutions and restoring the economy to health. “This is where the private sector can play a critical role, working in partnership with civil society and political leadership,” said the President. President Ramaphosa was speaking at the United Nations (UN) Private Sector Forum luncheon on the margins of the Nelson Mandela Peace Summit. The summit preceded the start of the UN General Assembly. The Global Compact, which is a UN initiative to encourage businesses worldwide to adopt sustainable and socially responsible policies, engaged on its role in peacebuilding. The debate took place in the context of the centenary of the birth of former President Nelson Mandela. “For our part, we are committed to work together with the UN and the members of the Global Compact to ensure that we build a strong and lasting partnership that will deliver not only peace – but also prosperity – to all the people of the world,” said the President. On Monday, 24 September 2018, the Political Declaration adopted by the summit declared the next 10 years to be the Nelson Mandela International Decade for Peace. President Ramaphosa said while plans and strategies for peacebuilding were plenty, they required financial, human and technological resources. “Many of these resources and many of these capabilities reside in business. It is therefore necessary to develop mechanisms to mobilise such resources in support of peacebuilding,” he said. To promote post-conflict development, President Ramaphosa said countries must create fertile ground for companies to have the confidence to invest in these countries. “Investment is necessary to promote economic progress and stability, while stability is an important condition for investment,” said President Ramaphosa. President Cyril Ramaphosa on Friday, 20 September 2018, announced the details of an economic stimulus and recovery plan, adopted by Cabinet, which is set to among others, ignite growth in the South African economy, boost much-needed job creation and restore investor confidence. “The stimulus and recovery plan we are outlining consists of a range of measures, both financial and non-financial, that will be implemented immediately to firstly, ignite economic activity; secondly, restore investor confidence; thirdly, prevent further job losses and create new jobs; and fourthly to address some urgent challenges that affect the conditions faced by vulnerable groups among our people,” an upbeat President Ramaphosa told journalists at the Union Buildings in Tshwane. investing in municipal social infrastructure improvement. Cabinet deliberated on and approved the proposed far-reaching measures, which encompass a number of related portfolios. 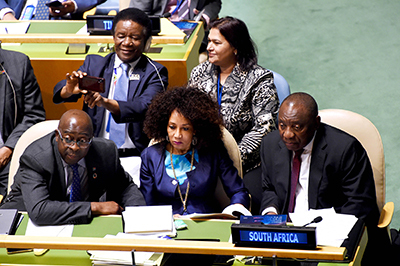 Dr Tshepo Motsepe, the spouse of President Cyril Ramaphosa and First Lady of the Republic of South Africa, on Tuesday, 18 September 2018, embarked on an Official Visit to the United States, ahead of the South African delegation, led by President Ramaphosa, attending the United Nations (UN) General Assembly in New York. 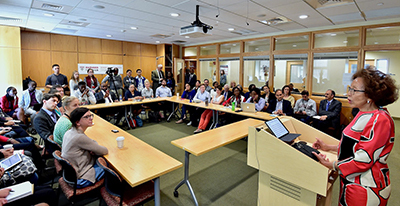 Dr Motsepe started her visit at her alma mater, Harvard University’s School of Public Health, where she delivered an address at the Open Summit on Early Childhood Health and Development in South Africa. She also had a conversation with a group of students and faculty from the Department of Global Health and Population. On the second leg of her visit, Dr Motsepe attended the unveiling of the Nelson Mandela statue at the UN Headquarters. Dr Motsepe holds a Masters of Public Health in maternal child health and aging from the Harvard School of Public Health. She is a qualified medical doctor, holding a Bachelor of Medicine and Bachelor of Surgery from the University of KwaZulu-Natal. She has also completed a Social Entrepreneurship Certificate Programme at the Gordon Institute of Business Science. Dr Motsepe has worked in private practice and in hospitals, including Chris Hani Baragwanath Hospital in South Africa and Parirenyatwa Hospital in Zimbabwe – each the largest in their countries. She also worked with the Wits Reproductive Health and HIV Institute, which is a leading African research institute focusing on sexual, reproductive health and HIV research. She has also served as Chairperson of the Gauteng Health Department’s Accreditation Committee. Dr Motsepe is currently the Chairperson of African Self Help Trust, a non-profit organisation, which provides early childhood development support programmes for home-based crèches in disadvantaged communities. Deputy President David Mabuza has hailed the late Environmental Affairs Minister, Edna Molewa, as a gallant freedom fighter. “Molewa was an outstanding servant of our people. She possessed extraordinary skills as an organiser, a thinker, strategist and leader … grounded in the plight and aspirations of our people,” Deputy President Mabuza said. “Her fighting spirit will remain our guiding force. May her revolutionary and caring soul rest in eternal peace,” Deputy President Mabuza said. 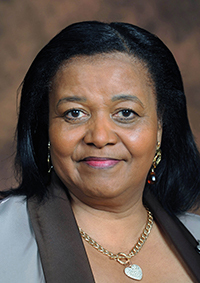 The late Minister Molewa was the Premier of the North West between 2004 and 2009. Thereafter, she was appointed Social Development Minister between 2009 and 2010. She was appointed as Minister of Water and Environmental Affairs in 2010 before the two portfolios were split after the 2014 general elections. She maintained the Environmental Affairs portfolio until her passing. President Ramaphosa has declared an Official Funeral (category 1) for Minister Molewa. Official Funeral Category 1 is for serving ministers, Speaker of the National Assembly, Chief Justice of the Republic of South Africa, chairperson of the National Council of Provinces, premiers and distinguished persons specifically designated by the President of the Republic of South Africa. The memorial service will be held on Wednesday, 3 October, and the funeral service will take place on Saturday, 6 October 2018, both in Pretoria. The Deputy Minister of International Relations and Cooperation, Reginah Mhaule, delivered a public lecture at the Sol Plaatje University on Wednesday, 19 September 2018. The lecture was aimed at publicising and enhancing dialogue about South Africa’s foreign policy objectives. Deputy Minister Mhaule elaborated on the outcomes of the BRICS Summit, hosted in Johannesburg at the end of July 2018. She also commented on South Africa’s role as non-permanent member of the United Nations Security Council, a role the country assumes from January 2019 to 2020. The platform was not only used to educate stakeholders about diplomacy and South Africa’s foreign policy objectives, but also provided details about the departmental campaig, titled: “Travel Smart with DIRCO”. The initiative seeks to inform South African citizens about Consular Services available to them abroad. 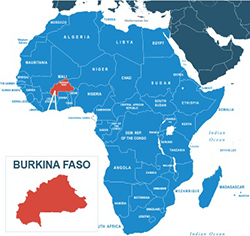 The South African Government has been informed of the kidnapping of a South African national in Burkina Faso. The Government, through the South African missions in that region, is working with law enforcement agencies to attend to the situation. The family of the affected South African has been informed. Government urges all South Africans to be alert as they travel and to be sensitive to possible security challenges in areas they are visiting or working. South Africans are also reminded to register with the Mission or with the Department of International Relations and Cooperation when working or travelling abroad. 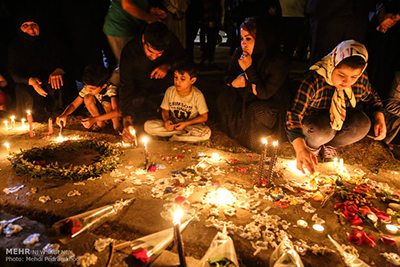 It was with shock and dismay that South Africa has received news of the recent deadly terrorist attack on 22 September in the Islamic Republic of Iran. The attack on a military parade has resulted in the death of 29 people and injured a further 70 in an act that held no other purpose than to invoke fear. South Africa expresses its condolences to the Government and the people of the Islamic Republic of Iran during this difficult time and especially conveys its sympathies to the families of the deceased and the injured following Saturday’s terrorist attacks. As a nation, South Africa maintains that terrorism in all its forms cannot be condoned and continues to advocate for the total isolation and eradication of all terror groups. In this regard, we are supportive of all efforts to combat terrorism undertaken by the international community, including the positions of Iran against terrorism and extremism. South Africa joins the rest of the peace-loving world in conveying its deepest sympathies with the Iranian nation and conveys our support in working toward the removal of terrorism for all humanity to live free from fear. 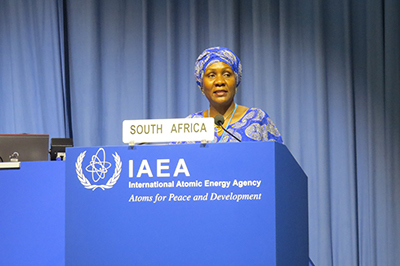 The Deputy Minister of Energy, Ambassador Thembisile Majola, delivered the South African National Statement at the 62nd Session of the International Atomic Energy Agency (IAEA) General Conference in Vienna, Austria, on 17 September 2018. She said South Africa attached great importance to nuclear security and appreciated the important role played by the IAEA in supporting member states, upon request, to develop national security plans as well as coordinate global nuclear security efforts. “We are pleased with the support of the agency, plans are advanced to update our country’s Integrated Nuclear Security Support Plan as well as ratify the Amended Convention on the Physical Protection of Nuclear Material. 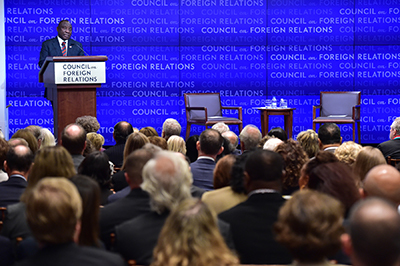 “While we continue to intensify our efforts to strengthen nuclear security, we should be mindful that for the global nuclear security system to be truly effective, it needs to be comprehensive. Similarly, nuclear security should not hamper the right to use nuclear technology for peaceful purposes. “ … In November this year, the IAEA is convening the International Ministerial Conference on Nuclear Science and Technology. This important conference will afford us the opportunity to further appreciate the enormous strides being made in the utilisation of nuclear science and technology towards human progress, particularly in enabling the attainment of the Sustainable Development Goals. South Africa fully supports the holding of this high-level conference and will participate at an appropriate level." In a bid to increase tourism, the Department of Home Affairs has relaxed travel rules for foreigners visiting South Africa with minors. 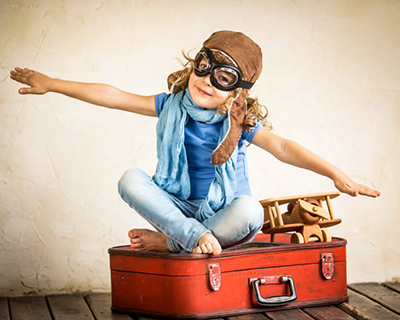 The Minister of Home Affairs, Malusi Gigaba, announced on Tuesday, 25 September 2018, that documentation proving parental consent for a minor to travel was no longer a requirement. However, it is strongly recommended that travellers carry this documentation, he said. "Our immigration officials will only insist on documentation by exception – in high-risk situations – rather than for all travellers, in line with practice by several other countries," Minister Gigaba said. He added that instead of being denied entry where documentation was absent, travellers would be given the opportunity to prove parental consent. Gigaba said these changes would be implemented before the festive season. South Africans, however, will still be required to prove parental consent and have an unabridged birth certificate if they want to travel abroad with their minor children. Minister Gigaba also announced a passport for minors that would eventually see the end of unabridged birth certificates as the document will have the contact details of both parents. The Department of International Relations and Cooperation has noted recent media reports that South Africa's Ambassador to Israel, Sisa Ngombane, has returned to Tel Aviv. The South African Ambassador is still recalled for consultations and has not resumed his duties as an Ambassador for South Africa in Israel. Ambassador Ngombane travelled to Israel to deal with urgent family and personal issues. He is expected to return to South Africa as soon as these are completed. The conditions that prompted the recall of South Africa’s Ambassador to Israel for consultations in Pretoria have not changed. Any change in status in our diplomatic relations with the State of Israel will be communicated by the department after due consultations with the President of South Africa. 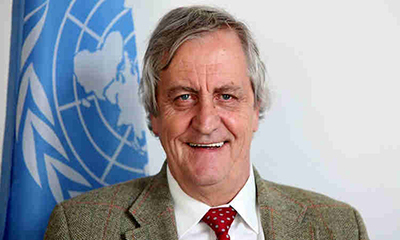 On 12 September 2018, United Nations (UN) Secretary-General, António Guterres, announced the appointment of Nicholas Haysom of South Africa as his Special Representative for Somalia and Head of the UN Assistance Mission in Somalia. Haysom is a lawyer with a long international career with a focus on democratic governance, constitutional and electoral reforms, reconciliation and peace processes. He is currently the Special Envoy for Sudan and South Sudan, a position he has held since 2016. Prior to this, he served as the Special Representative of the Secretary-General for Afghanistan and Head of the UN Assistance Mission in Afghanistan (UNAMA) from 2014 to 2016, and as Deputy Special Representative of the Secretary-General for Afghanistan from 2012 to 2014. He was also Director for Political, Peacekeeping and Humanitarian Affairs in the Executive Office of the UN Secretary-General from 2007 to 2012, and Head of the Office of Constitutional Support for the UN Assistance Mission in Iraq from 2005 to 2007. In his earlier career, Haysom served in the Government of South Africa, including as Chief Legal and Constitutional Adviser in the Office of the President from 1994 to 1999. He was involved in the Burundi Peace Talks as Chair of the committee negotiating constitutional issues from 1999 to 2002 under the facilitation of the late former President Nelson Mandela. He was the principal adviser to the Mediator in the Sudanese Peace Process from 2002 to 2005. Haysom earned a degree in Law from the universities of Natal and Cape Town in South Africa. In 2012, he received an honorary doctorate from the University of Cape Town. 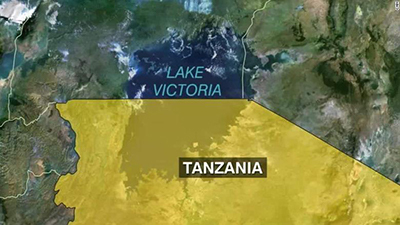 The South African Government has sent a message of condolences to the Government of the United Republic of Tanzania following a boat accident that has claimed the lives of a large number of victims. The accident is reported to have occurred in Lake Victoria on Thursday, 20 September 2018. The message expresses the sadness of the South African people on learning of this tragedy, adding that the thoughts of South Africans were with the sisterly people of Tanzania, in particular the families of the deceased. 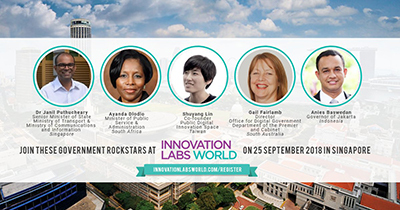 The Minister of Public Service and Administration, Ayanda Dlodlo, was in Singapore recently where she led a delegation to the Innovation Labs World Public Sector Conference. The conference brought together innovators from around the world to discuss public service delivery in the 21st century. It united the public and private sectors to build contacts, learn from each other and create solutions. 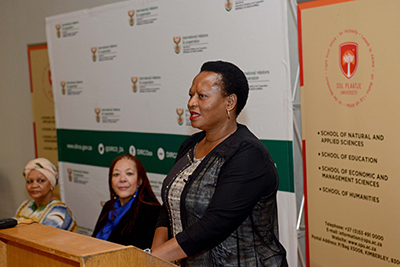 Minister Dlodlo addressed delegates at the conference on the importance of citizen engagement, focusing on innovative ways to involve ordinary people in the decision-making processes of government, the department said. The Minister attended several sessions of the conference such as corporate intelligence solutions for governments and the evolution of the cybersecurity landscape in Singapore. She also participated in the discussions on crowd sourcing external expertise and intelligence to deliver innovation as well as the seamless payments across the public sector. Minister Dlodlo concluded her visit by holding bilateral meetings with three different government institutions responsible for innovation and e-government in Singapore. The Minister of Defence and Military Veterans, Nosiviwe Mapisa-Nqakula, says efficient, powerful and cost-effective cyber defence and solutions should be implemented to protect the country’s critical information infrastructure. “We invite all cyber war specialists to register and be a part of the conversation [to] craft a solution,” the Minister said. Addressing the Africa Aerospace and Defence (AAD) media briefing in Pretoria on Thursday, 20 September 2018, Minister Mapisa-Nqakula said South Africa was paying attention to cybercrime at the highest level. “We have taken a decision to collaborate with other countries to deal with the challenge. We need to play our part in combating this problem and it is critical that defence should remain mandate-driven in all its actions,” the Minister said. Minister Mapisa-Nqakula said at this year’s AAD show, held in partnership with the University of Stellenbosch and other industry players, key issues on cyber security would be discussed. “Natural and man-made disasters remain a reality that could have catastrophic consequences for our country and our neighbours,” the Minister said. More than 300 exhibitors representing 37 countries participated in this year’s AAD show. Ministers, deputy ministers and chiefs of defence from various countries were invited to attend this year’s AAD show. The AAD is Africa’s only aerospace and defence expo that combines both a trade exhibition and an air show. Held biennially in the City of Tshwane, the AAD Expo is one of South Africa’s largest contributors to the country’s gross domestic product in show years, and is regarded as a national asset. 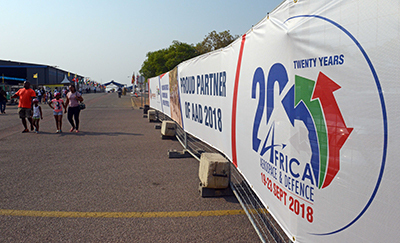 The AAD show remains Africa's premier aviation event showcasing leading-edge commercial and general aviation-related technologies, products and related services offered by both local as well as international defence industry players. Thousands of aviation and defence enthusiasts converged at the Air Force Base Waterkloof for the AAD from 19 – 23 September. Among other things, the show programme included aerial displays by the Silver Falcons, Gripens and Hawk fighter aircraft. 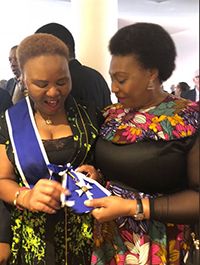 Cabinet has congratulated Small Business Development Minister, Lindiwe Zulu, after she was honoured by the Brazilian Government. Earlier this month, the Brazilian Government bestowed Mnister Zulu with the highest level of the Order of Rio Branco (Ordem de Rio Branco) and the Grand Cross, in recognition of her service and achievement in the diplomatic service. “This is in recognition for the Minister’s continuous efforts to enhance bilateral relations between Brazil and South Africa,” Communications Minister, Nomvula Mokonyane, said during a post-Cabinet media briefing on Thursday, 20 September 2018, in Tshwane. Minister Mokonyane said this Order of Brazil was granted to those who had distinguished themselves in acts of meritorious service and civic virtues. Minister Zulu served as South African Ambassador to Brazil between 2004 and 2008. She received the order from Brazil’s Ambassador to South Africa, Nedilson Jorge, on 7 September in Waterkloof, Pretoria, as that country celebrated Brazil National Day. “The Order of Rio Branco is awarded annually to Brazilian and foreign nationals for service and achievement in diplomatic service, government and civil fields,” the Department of Small Business Development said in a statement. 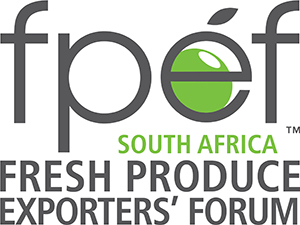 “Russia continues to be an important market for us, as 10% out of 2,7 million tons of fresh fruit exported from South Africa goes to Russia,” said the Fresh Produce Exporters' Forum's (FPEP) CEO, Anton Kruger, recently. Kruger was part of the Department of Trade and Industry’s (dti) delegation that participated in the World Food Moscow trade fair. The dti-led delegation of businesspeople forms part of the department’s efforts to promote South Africa’s agro-processing industry in order to consolidate and establish market presence of local goods in Russia. Kruger said the South African Pavilion at the fair added value for the FPEF, which is a voluntary, non-profit organisation with more than 130 members, accounting for about 90% of fresh produce exported from South Africa. Kruger, who also represents the Export Council for the Fresh Produce Industry in South Africa, said since 2017, they had seen a steady export growth in pears, apples and table grapes, although the bulk of exports is still citrus. He said the council was engaging with the Russian Chamber of Commerce and Industry and was addressing the labelling issue. This follows the decision by the Euro Agent Commission to introduce new labelling requirements. The decision added a lot of cost and additional efforts for South Africa to export its fresh produce. Kruger said while 10% out of 2,7 million tons of fresh fruit were exported from South Africa to Russian, this took a dip in 2016 to around 6% as a result of the labelling requirements. He said since 2017, the volumes had picked up again to 10%. He noted that there was potential for South African-grown avocados to be exported to Russia. Meanwhile, export sales generated from South Africa’s participation in last year’s fair amounted to R56 million. South Africa’s exports to Russia increased from R4,1 billion in 2016 to more than R4,7 billion in 2017. Major South African exports include edible fruits and nuts, manganese ores, products of iron and steel, beverages, spirits and vinegar, vehicles, electrical machinery and equipment. While Japanese countries are keen to invest in the South African economy, South Africa can learn a lot from the East Asian nation, says the country’s Ambassador to Japan, Thulani Dlomo. “The investment interest is huge. Big and small corporates are looking forward to hear about investment opportunities available in South Africa as well as the country’s investment environment,” said Amb Dlomo on Wednesday, 19 September 2018. The Department of Trade and Industry (dti) was leading a week-long investment mission to Japan with Presidential investment envoy, Phumzile Langeni. The visit to Tokyo was in line with President Cyril Ramaphosa’s investment drive to attract US$100 billion worth of investments into the South African economy over five years. Amb Dlomo said South Africa and the island nation had cordial relations, which presented an opportunity for South Africa to learn from the Japanese with regard to skills development, technology and trade and investment to grow the economy. This as the South African Government views its bilateral economic relations with Japan as strategic and important. “This mission is a prioritisation of Japan by the South African Government. The mission offers an opportunity to assure the Government of Japan and the private sector that South Africa is indeed the best country to invest in,” said Amb Dlomo. 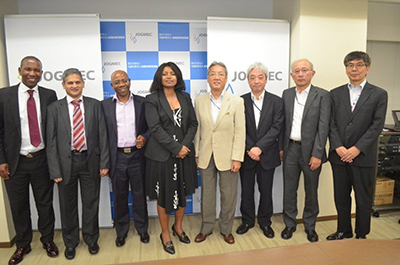 The investment mission followed on the Japan-Africa Public-Private Economic Forum, which was held in South Africa in May 2018. South Africa’s vision of integrated urban planning continues to be negatively impacted by the development of houses in the periphery of urban centres, says the Deputy Minister of Cooperative Governance and Traditional Affairs (Cogta) Andries Nel. 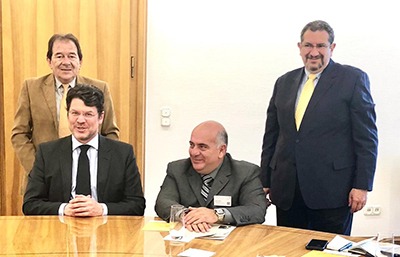 However, the challenge is not exclusive to the country, as Deputy Minister Nel discovered during his meeting with Ecuador Housing and Urban Development Minister, Xavier Torres. The two leaders held a meeting on the sidelines of the 12th Federal Congress on National Urban Development Policy in Germany recently. During the meeting, it also emerged that access to strategically located urban land for housing delivery was another challenge that both Ecuador and South Africa had in common, the Cogta said in a statement. Cogta said the two leaders also discussed housing delivery and urbanisation within the context of national urban policy. Minister Torres shared some of their challenges in the delivery of housing, which were made worse by the two earthquakes that ravaged their country and impacted their housing delivery programme negatively. An area of mutual interest was how both countries could learn from one another on the typology of houses that were being delivered, especially in areas where indigenous communities lived in Ecuador and in rural areas and traditional areas in South Africa. The meeting was concluded with Deputy Minister Nel inviting Ecuadorian officials to South Africa to engage further. Two hundred captive-bred endangered Pickersgill’s Reed frogs have been released in Mount Moreland and Prospecton in eThekwini, KwaZulu-Natal. The Department of Environmental Affairs, Ezemvelo KZN Wildlife and the Johannesburg Zoo released the frogs recently in areas where their parents originated. 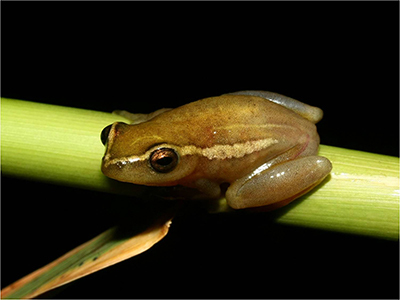 The release of the frogs took place one year after the publication of the Biodiversity Management Plan for the Pickersgill’s Reed Frog (Hyperolius pickersgilli). The aim of the Biodiversity Management Plan is to improve the conservation status of Hyperolius pickersgilli and secure its future survival in the wild. The Department of Environmental Affairs said the major benefit of the species management plan would be to obtain the support of owners, managers and occupiers of land on which the frogs occur for implementation of conservation actions. “Among the management actions being taken is a breeding programme by Johannesburg Zoo to create sustainable insurance populations of endangered amphibians that can be introduced or re-introduced back into their natural environment whenever a need arises,” the department said. Amphibians play integral roles in most ecosystems and are presently the most threatened class of vertebrates globally, with approximately one third of all known species Red Listed by the International Union for Conservation of Nature (IUCN). This situation is reflected in South Africa, with 30% of the country’s frog species listed under a threatened category. Overall, 43% of South African frog species are endemic to the country. Of these, 35% are in a threatened category, and all but one of the threatened species are endemic. The department said the highest species richness for frogs occured in KwaZulu-Natal, an area that had been recognised as being important for both frog endemism and having high levels of human activity, particularly in the coastal regions. Pickersgill’s Reed Frog is a small frog known only from limited and highly fragmented coastal wetland habitat in KwaZulu-Natal, mostly commercially-owned land. “Without concerted proactive conservation intervention, it is highly likely that the species will become extinct,” the department said. The Pickersgill’s Reed Frog is listed as endangered on the IUCN Red Data List and by South Africa’s Threatened or Protected Species Regulations of the National Environmental Management: Biodiversity Act. The species is KwaZulu-Natal’s only amphibian species with this status. The Cape Town International Film Market and Festival (CTFMF) has selected 61 short films that will screen across 10 programmes at select venues at the V & A Waterfront between 10 and 19 October. Short films are an integral part of the CTFMF and Festival Director, Leon van der Merwe, has always recognised the importance of this genre, "Short films are a necessity to keeping the entire film industry healthy. They fulfil two irrefutable roles, firstly, they allow up-and-coming talent the chance to get noticed and refine their style, and secondly, they also help to encourage creativity and originality that includes new ways of telling stories." Among the films are 17 South African shorts that include award-winning director Reabetswe Moeti’s Mma Moeketsi that stars Keketso Semoko, known for her role as Ma Agnes on Isidingo. Fatima is another short from a South African director (Imran Hamduly), which tells the story of a young woman who defies her family's wish to enter into an arranged marriage and suffers a tragic consequence thereof. Shorts from Zimbabwe, Spain, Brazil, Austria, Belgium, Australia, the United States of America, China, Egypt and Denmark among other countries will be screened throughout the festival. 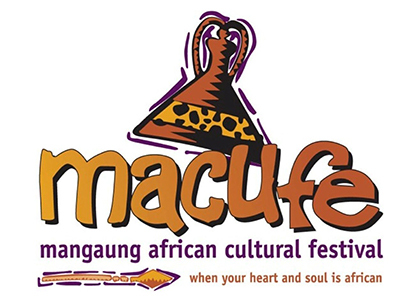 Building on the legacy and milestone of the 20th anniversary of the Mangaung African Cultural Festival (MACUFE), which was celebrated in 2017, the 21st edition of MACUFE will cement the fact that indeed MACUFE is one of the most popular cultural festivals on the African continent and beyond. This festival has, from humble beginnings, grown from strength to strength and has undoubtedly reached international stature. With the key objectives of promoting social cohesion, nation-building, tourism and economic development, MACUFE continues to be the major highlight in the arts and entertainment calendar of the country and stands shoulder high among many other festivals. As in previous editions, the 21st edition of MACUFE promises to dazzle its patrons with an action-packed and entertainment-galore programme. Guided by its theme, “Kaofela re moo”, this year’s MACUFE will be rolled out from 5 to 14 October 2018 and coincides with the centenary celebrations of Former President Nelson Mandela as well as that of Mama Albertina Sisulu. The 2018 theme speaks to the character of this festival as a melting pot and a meeting point for all arts lovers. International artists of note will continue to feature as part of the programme. For the 21st edition, music lovers can expect to be enthralled by the likes of Brandy (USA), Joe (USA), Tiwa Savage (Nigeria), and Oliver Mtukutzi (Zimbabwe) among others. These music maestros will perform alongside our own South African music maestros who will equally keep MACUFE patrons entertained. They include Nasty C, A Rheece (Tshepe Hip Hop), Lebo Sekgobela, Benjamin Dube, Teboho, Thoko Nogabe, Neyi Zimu (Gospel), Selaelo Selota, Kunle, Xolisile Nosenga (Indoor Jazz), Semito, Amanda Black, Prince Kaybee, Nathi, Zonke and Lady Zamar (Main Festival) among others. 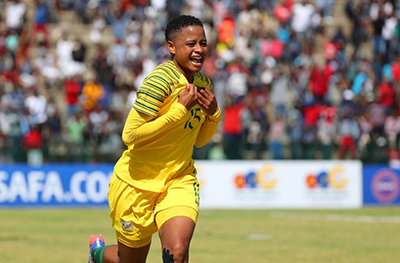 The Banyana Banyana national women’s football side claimed a thrilling 2-1 victory over Cameroon in the final of the 2018 COSAFA Women’s Championship in Port Elizabeth on Sunday. Refiloe Jane proved the hero with both goals at the Wolfson Stadium. Jane bagged a goal in each half, either side of a strike by Genevieve Ngo Mbeleck, as Banyana Banyana retained the title they won in Zimbabwe last year. It’s their fifth win in six tournaments and an excellent warm-up for the African Women’s Championship in Ghana in November. South Africa scored 13 goals in the tournament and conceded just two – against Madagascar (group stages) and Cameroon (final). Banyana had six goal-scorers: Linda Motlhalo scored four, Khanya Xesi three, Seoposenwe and Jane two each, while Kgaelebane Mohlakoane with Vilakazi chipping in with one each.